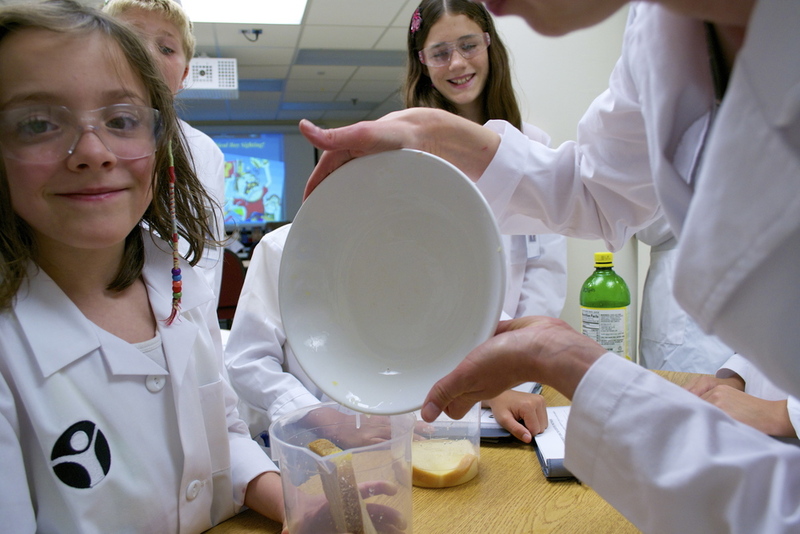 Camp held in facility with professional kitchen and science lab! 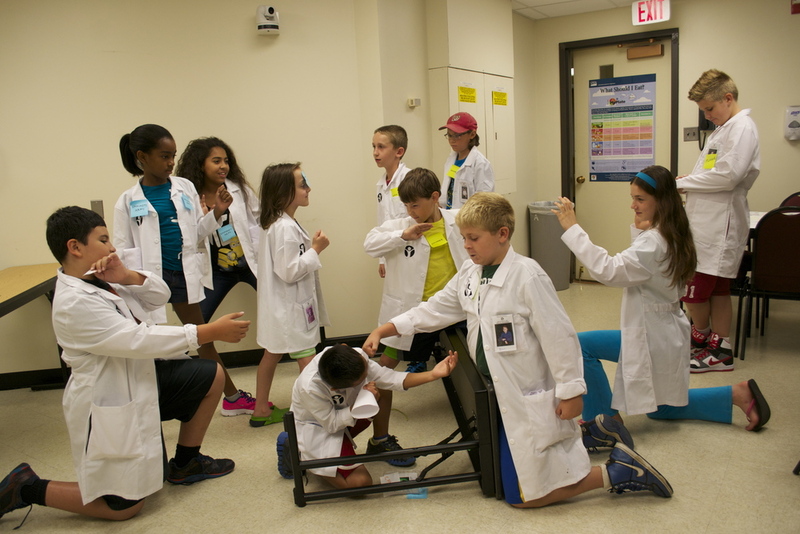 A Summer Camp where you don't have to be a MAD SCIENTIST to create a Superhuman! 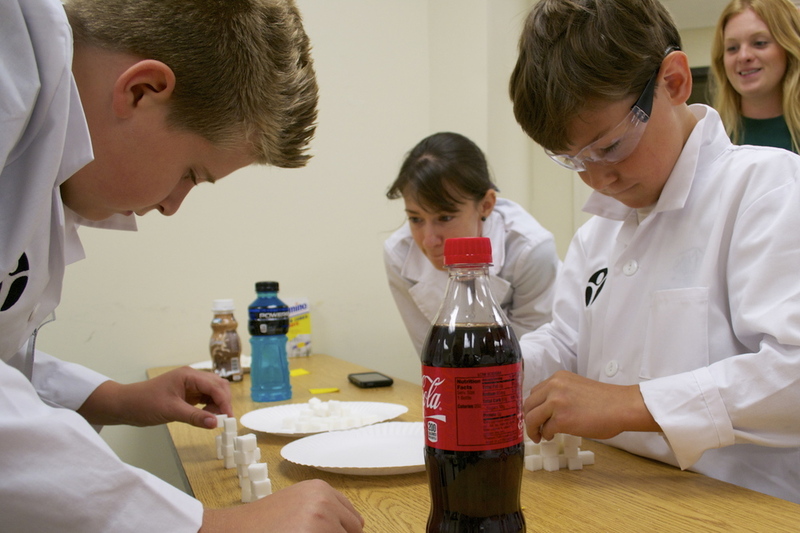 Teams use fun experiments learn about the connection between nourishment and human performance! 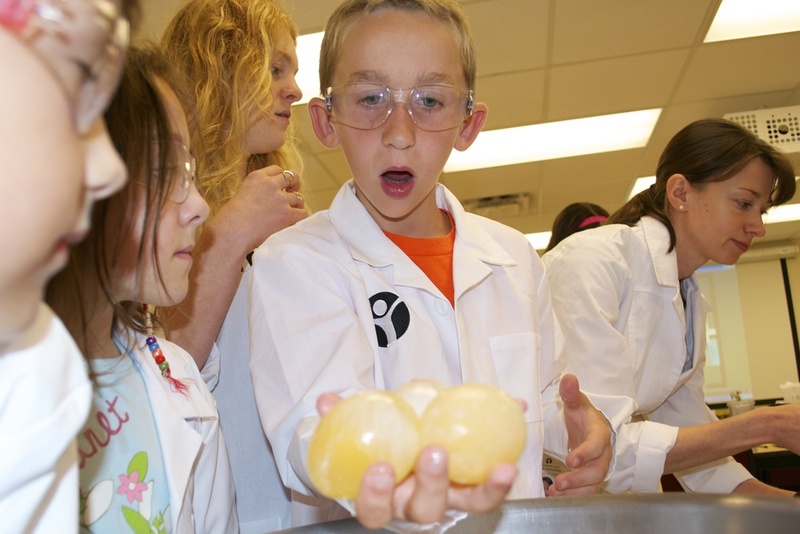 Hands-on activities where kids use the scientific method to answer a series of questions about food then learn how to cook with it! Students keep all art and kitchen projects, as well as complementary apparel! 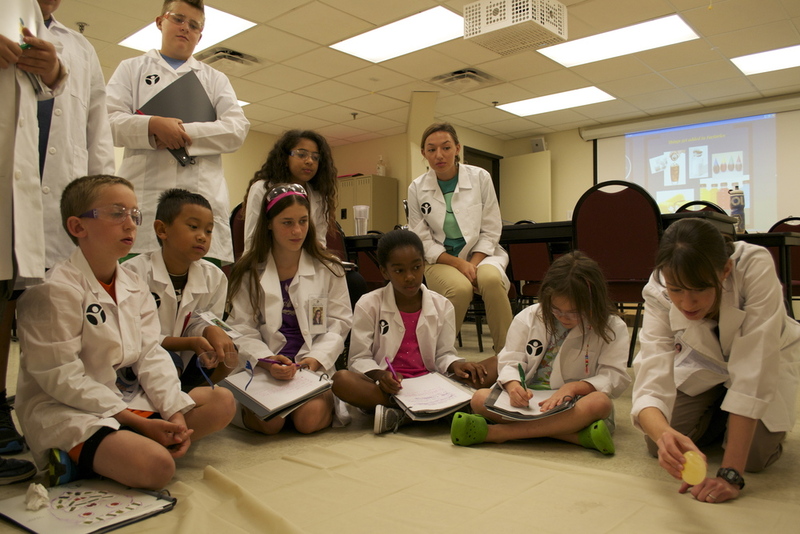 Teams work individually and together to solve problems and record activities in their lab notebooks! 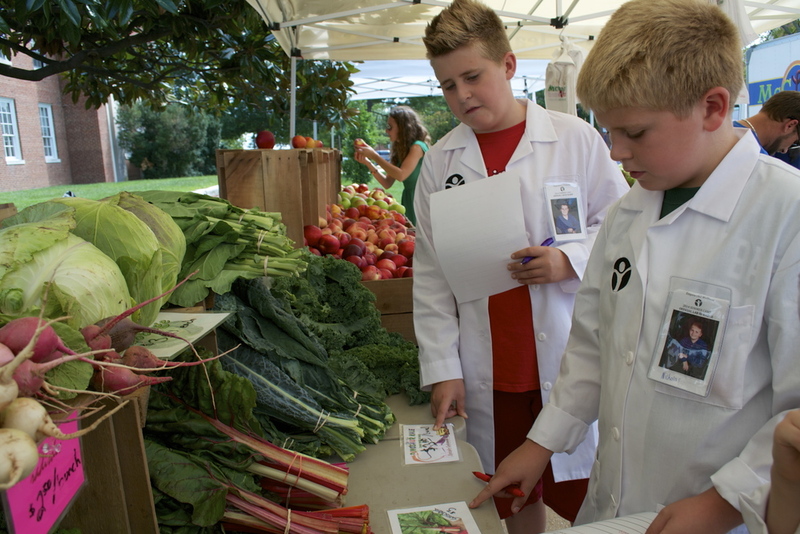 Kids empowered to adjust recipes to match their preferences or unique dietary needs! 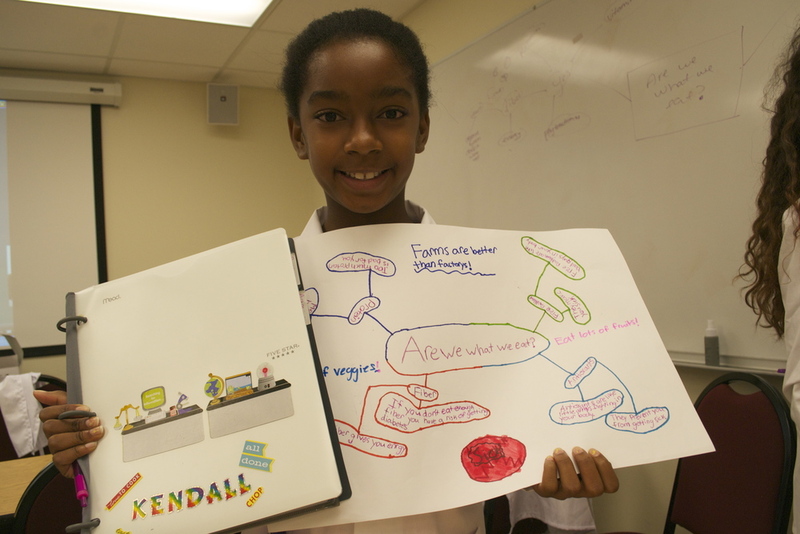 Final project is a "Poster Show" where kids show off their unique mind-maps and other creations! Fun curriculum that fuels the mind, body and imagination! 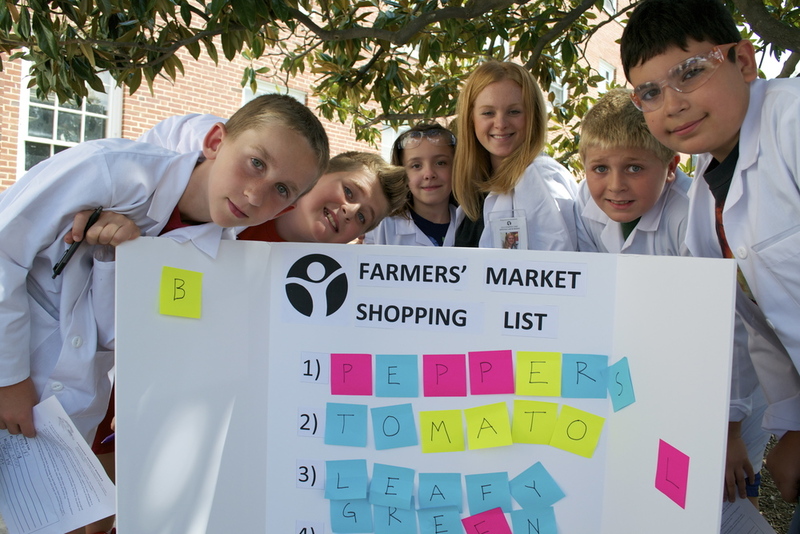 Riddle Scavenger Hunt at local Farmers' Market! Lunch included (dietary restrictions considered - foods prepared by students)! 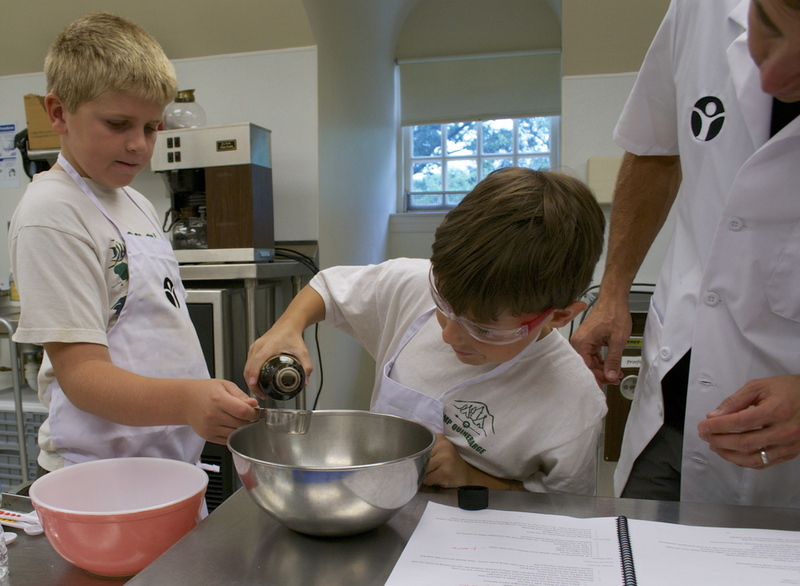 The 2016 Food Science Camp schedule is still being determined but we're starting to take reservations now for the Design Your Own Restaurant Camps and the Aspiring Chefs - Create Your Own Family Cookbook Camps! Still unsure if this is right for you? Check out what others are saying about our programs! Brought to you by the partnership of Empowered Wellness and the University of Marylands' Department of Nutrition & Food Science.